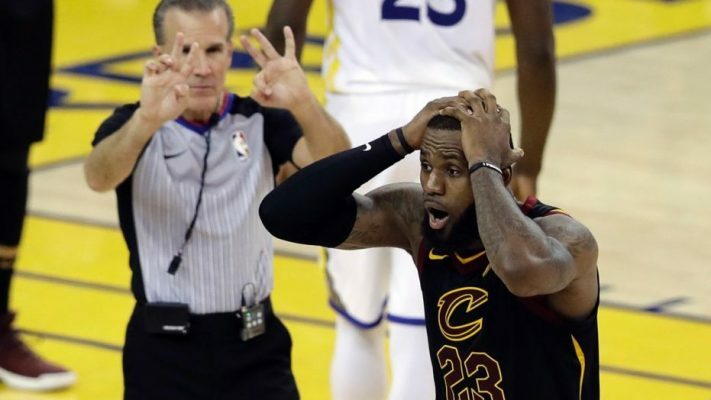 The final two minutes Game 1 of the NBA Finals on Thursday night had several controversial moments that ultimately decided the outcome. Luckily, because the score of the game was within three points during that time, fans knew they could expect a Last Two Minute Report on the game. After hours of waiting, the Last Two Minute Report was released on Friday afternoon and helped to make sense of all that had taken place. Interestingly, that wasn’t the only questionable moment for the game’s officials in the final moments of the matchup. Included on the L2M report was a note about George Hill‘s free-throw attempts with 4.7 seconds left in the game. Hill could have given the Cleveland Cavaliers a one-point lead, but managed to make just one of two shots. Regardless of the information within the report, it was already clear to Cavs fans that they let an incredible opportunity at stealing Game 1 fall through their fingertips. Hopefully both the Cavs and the league’s officials will have a stronger performance in Game 2 on Sunday night.